Dry eyes know how to be very unpleasant because they are often followed by inflammation accompanying redness and unpleasant itching of eyes. 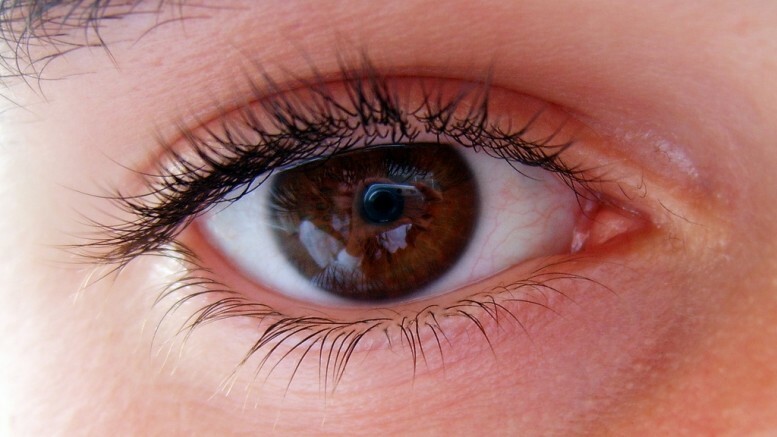 Dry eye syndrome or xerophthalmia means insufficient secretion of tears, which lubricate, nourish and maintain eye health, and therefore allow a clear and good eyesight. Dry eye syndrome is followed by the most common symptoms such as pain and redness of the eye, light sensitivity, sensation sand, foreign bodies or itching eyes, often blurred vision before the end of the day and in the morning, sticky ocular secretions, and heavy eyelids. This reflex secretion occurs because the cornea is not sufficiently hydrated and sends a signal through the nervous system, seeking more tears. However, their composition is generally water, which will only wash away dirt, but will not moisten or lubricate the eye surface. The tears in the eye include water, mucin, lipids, sodium, potassium, protein, antibody, glucose, lysosomes. In addition to moistening the eyes they protect them from bacteria and inflammation. Red, irritated and dry eyes are common symptoms of this disease, which in some cases can cause damage and thus endanger vision. Dry eyes in most cases can occur as a result of age, and after many years of wearing contact lenses, many hours at the computer, but also diseases such as chronic inflammation of the eyelids, as well as some neurological and systemic autoimmune diseases. Also, it can be caused by antidepressants, antipsychotics, antihistamines. Dry eye syndrome is a disorder that often affects women in menopause if they receive hormone therapy, laser vision correction or eye surgery. Staying in smoky or air-conditioned rooms and walk in the wind can also cause dry eyes. Eye disease xerophthalmia - HOW IS IT DIAGNOSED? Dry eye can be diagnosed in several ways. If you have suspected on dry eye syndrome, the doctor will carry out some tests: eye Schirmer test, which measures the amount of aqueous component of the tear film, TBUT test that checks the stability of the tear film. Sometimes it is necessary to review the antibodies in the blood (if symptoms suggest an autoimmune disease). One of the most important items when it comes to dry eyes is certainly correct diet. Daily menu should be rich in vitamins and minerals. Eggs, carrots, potatoes, green leafy vegetables are rich in vitamin A, citrus, cabbage and peppers are rich in vitamin C. Lutein and zeaxanthin are found in spinach and kale, and bioflavonoids are present in citrus fruits and grapes. Almonds and nuts contain a lot of vitamin E and Brazil nuts and yeast are rich in selenium-rich. At least two or three times a week we should eat fish - salmon, mackerel or trout recommended is mild Mediterranean cuisine. It is mandatory to drink a lot of water. It is necessary to avoid products with white flour and white sugar, processed meats (salami, hot dogs, etc. ), as well as all other industrial foods that contain trans-fats. Two teaspoons of finely chopped and dried herbs of Eyebright mixed with a teaspoon of crushed fruits of fennel. Pour 2.5 l of cold water, let it boil, cover and leave it to stand for 15 minutes, then strain. Several times a day swabs are dipped in tea, gently squeeze and put on the eyes. Keep for ten minutes and you will successfully treat dry eyes after a few treatments. Mix 50 g of fennel, 30 g of herb Eyebright and 20 g of chamomile flowers and elder. Five tablespoons of the mixture pour with 5 dl of white wine, briefly boiled, and when it cools slightly, tilt your head above the pots and put a towel over the head. Steam for ten minutes, and then gently wipe eyes with a towel. As an excellent remedy for dry eyes it is recommended to cut red onion, because inhaling its scent stimulates the secretion of tears.